What is Sicily? It is the largest Mediterranean island with eventful history. But primarily it is known as a jewel of the sea: with its own beauty and features. Amazing fruit-gardens, steppes, thick forests and mountain ranges are waiting for each one who desires to fill eyes with awesome Southern Italy. If you have been in Sicily even for once in your life, it is hard to forget this trip. That is why this island is intended to be a favorite destination for wedding planning. This place is ideal if you want to feel a fairy tale and get lost in it. The most romantic setting in the world is ideal to tell your loved one about the feelings. Arabic buildings and mosques, medieval European castles, Spanish monasteries – great representation of architectural styles will help in your wedding planning. 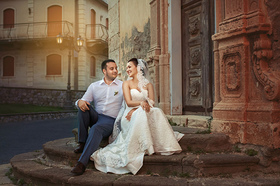 Use professional advices and organize an event of your dream with Wedding-Italy! 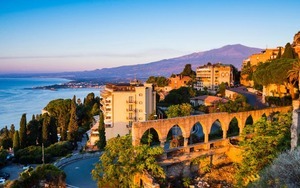 Sicily is widely known for its hospitality. You will be pleasantly surprised with prices and services level especially in comparison with the rest of Mediterranean. It helps to fully open real new world with clean beaches, great hotels, amazing natural and architectural monuments. Wedding in Sicily may be the most memorable event in your entire life. All places that are ideal for the ceremony are situated in the open. That is why wedding in Italy is considered to be a romantic adventure at the beach and under the clean sky. Let it happen! Ceremony in Italy. How it is going to be and how much it will cost? Groom, after the end of the ceremony, must cut his tie or bow tie onto slices. It is believed that in such a way he gives the pieces of his happiness to all his relatives. If you want to learn more about how Sicilians are used to getting married, about our services, experience and prices, use phone numbers or request a call in the website header to contact our manager! Sicily is the largest island in the Mediterranean Sea and the most abundantly warmed by the sun. Here’s why it’s so generous with warm and positive energy.The sun brings happy emotions and great impressions of the beautiful paintings of the nature. It shares love and joy in every corner of the picturesque coastal resorts and old towns like Taormina, Palermo, Erice, Syracuse. 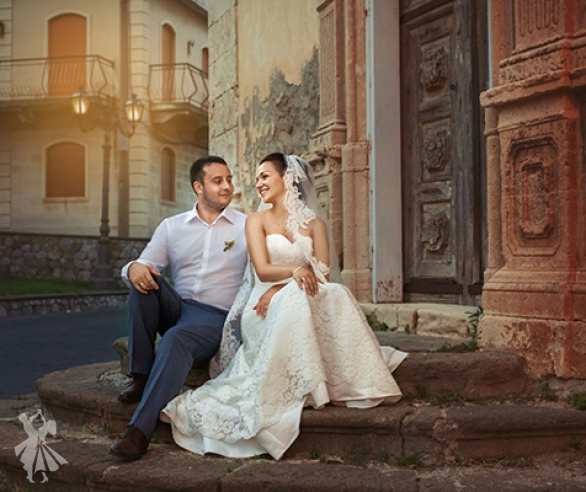 The romantic atmosphere of the island, its charm will make the ceremony particularly bright and really fabulous, and regarding the prices of wedding in Sicily, you will be only pleasantly surprised. Organizing wedding in Sicily takes place in the most romantic places on the island, and only you will decide what is the most suitable place for your fabulous fantasies. Whichever place you choose, wedding in Sicily will be a successful and spectacular event not only in your life but also in the lives of your dearest people. Breathe the air of Sicily, full of positive vibrations of the comprehensive beauty, love and romance.